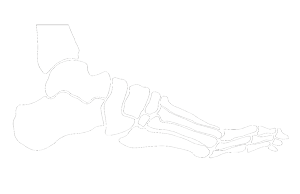 Welcome to the Sports Foot & Ankle website, a service of The Steadman Clinic in Vail, Colorado. Our specialists, Dr. Thomas Clanton and Dr. C. Thomas Haytmanek are uniquely trained to diagnose and treat acute and chronic injuries of the foot and ankle. Their experience makes them specially equipped at treating complex deformities, sports injuries, arthritis and cartilage injuries. Whether the condition is a sprain, a severe fracture, or advanced arthritis, our specialists treats all patients with equal compassion and care. We recognize that each patient has a unique situation requiring its own tailored approach for treatment. With a focus on individual patient needs and unwavering commitment to excellence, our team provides the highest quality of care to return patients to an active quality of life. 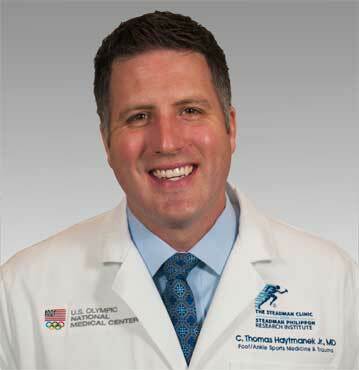 Dr. Thomas O. Clanton is a foot, ankle and knee specialist and Director of Foot and Ankle Sports Medicine at The Steadman Clinic in Vail, Colorado. He is internationally recognized for his work as an orthopedic surgeon, specializing in sports and traumatic injuries to the lower extremities, including the foot, ankle and knee. Dr. Thomas Haytmanek is a foot and ankle specialist at The Steadman Clinic in Vail, Colorado. Before moving to Vail, he practiced at Saint Alphonsus in Boise, Idaho. His clinical interests include fractures, ankle arthroscopy, cartilage restoration, and sports medicine injuries to the foot and ankle. Using a variety of surgical approaches, including arthroscopy, and open techniques, our specialists are skilled in treating ankle instability and sprains including high ankle sprains, osteochondral injuries of the ankle, foot and ankle fractures, bunions, arthritis of the great toe joint, turf toe, fractures, and tendon problems (Achilles, peroneal, and posterior tibial). Our team offers the Scandinavian Total Ankle Replacement (STAR) and the INBONE Total Ankle System for the treatment of ankle arthritis. We have extensive experience with the recently approved Cartiva synthetic cartilage implant. The STAR ankle replacement is one of five ankle prostheses being used in the United States today to treat ankle arthritis. Cartiva® Synthetic Cartilage Implant (SCI) is a new implant for the treatment for hallux rigidus, also known as big toe arthritis. Microfracture is used for the treatment of osteochondral lesion of the talus (OLT) is an area of damaged cartilage. Lateral ankle ligament repair/reconstruction is used to restore normal stability to the ankle. The goal of Achilles tendon repair is to reconnect the calf muscles with the heel bone to restore push-off strength. Depending on the severity of the injury, ankle fractures can be treated non-surgically or surgically. Dr. Clanton and Dr. Haytmanek are dedicated to providing educational information for patients and professionals seeking insight and practical knowledge on problems associated with the foot and ankle. 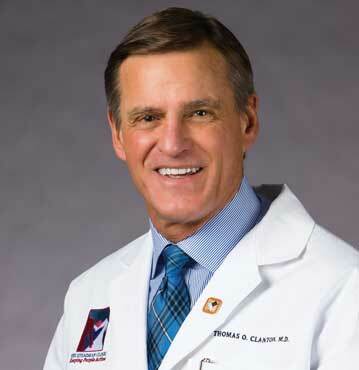 Dr. Clanton has published over 75 peer-reviewed scientific studies and authored the Essentials of Musculoskeletal Care Foot and Ankle section for the American Academy of Orthopaedic Surgeons as well as 25 other book chapters. During his time as a Fellow at The Steadman Clinic, and while he practiced at Saint Alphonsus in Boise, Idaho, Dr. Haytmanek completed research on the foot and ankle. His research focuses include hindfoot fusion nails, total ankle arthroplasty, and cartilage repair. Dr. Haytmanek provides emergency care services in Vail and Frisco, Colorado. Our team of foot and ankle specialists offers case reviews for patients seeking a second opinion. We provide our patients with cutting-edge rehabilitation protocols to ensure optimal results.